Technology can be a lot of fun. Even the simpler functions of technology devices can fascinate and entertain. I’ll give you an example. 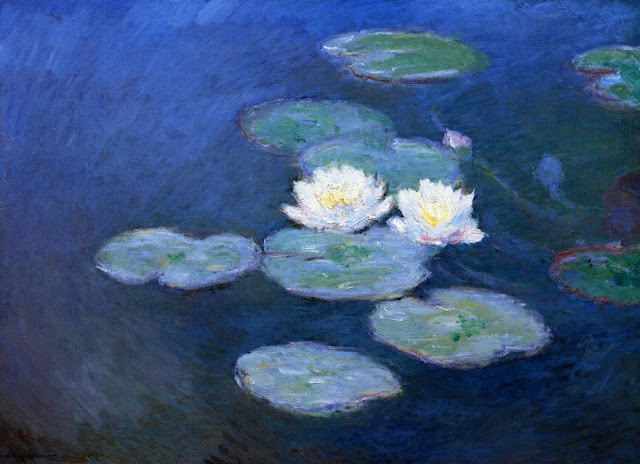 Seeing Monet’s waterlilies reminded me of a couple of photos I had taken when I visited Longwood Gardens a few summers ago. Longwood Gardens, located in Kennett Square, Pennsylvania, is one of the premier botanical gardens in the United States. One of the exhibits I visited was an outdoor water lily display. Many varieties of water lilies and aquatic plants fill the ponds which appear black due to the addition of an organic black dye used to slow algae growth and to accentuate the colors of the plants. The effect is striking. 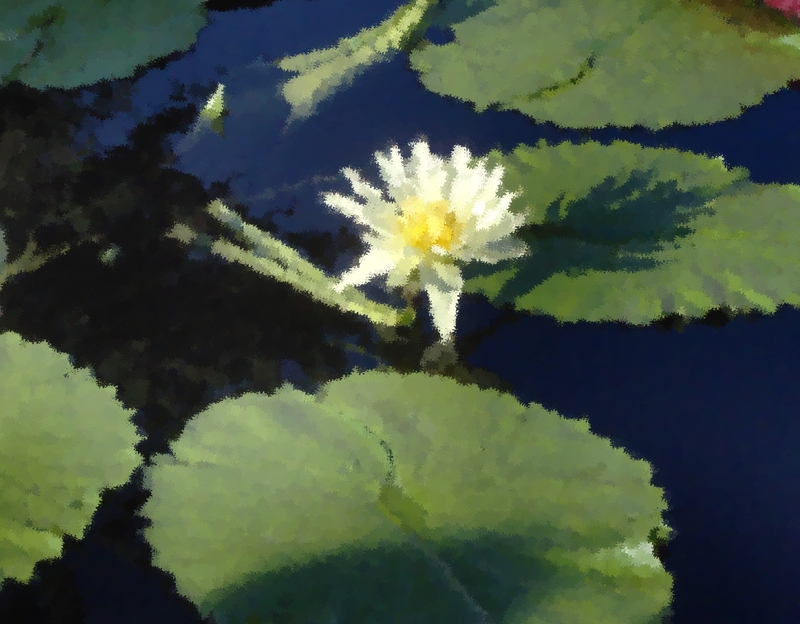 I decided to take another look at my photos, to see them in a Monet-like manner. Here is where I had fun. Inserting the photos into a Word document, I used the Picture Tools to apply artistic effects to them. I really like the original photos, but I think the “artistic” versions look pretty cool. Take a look and let me know what you think! Hi, your enhanced photos look very nice. Have you ever tried to do some pastel drawing? 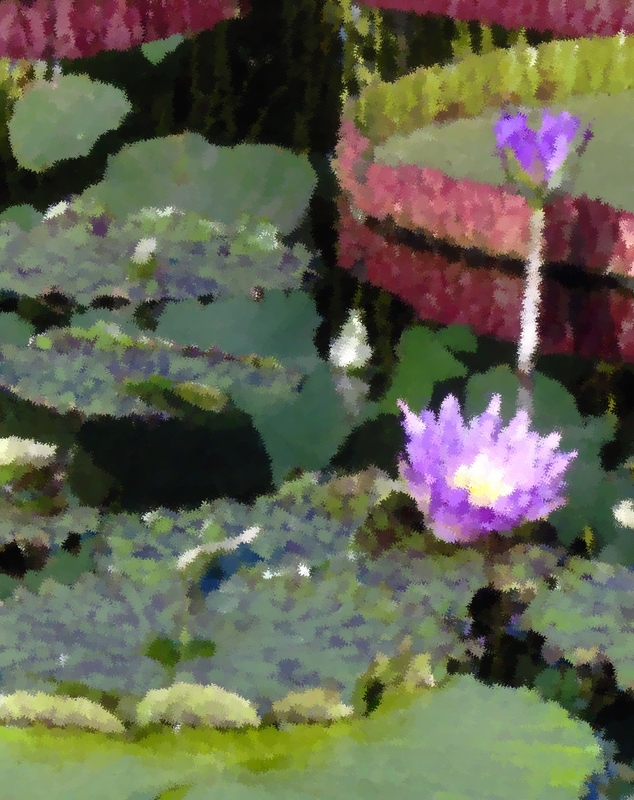 It’s not that difficult, and if you like impressionistic style, you could create real (not only digital) art. Lots of fun. Oh yes, I used to do a lot of drawing with pencil, colored pencils, and pastels, and some watercolor painting as well. I have gotten away from that for some time – at some point I just lost interest. I don’t know why. It’s funny how you can be really into an activity that you love and then lose the interest to do it. Over the years I’ve purchased art supplies, thinking I’d like to pick it up again, but I just haven’t felt that strong desire to get back into it. Maybe I will give it another look while I have some free time on my hands. Thanks for your comment and suggestion! 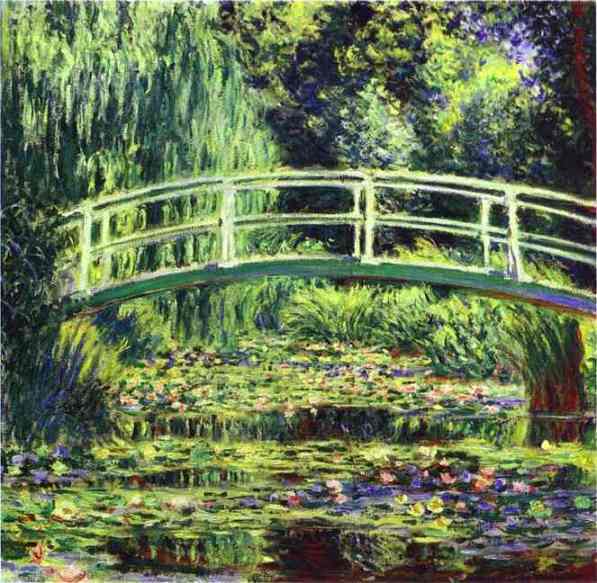 Well, I think that Giverny could be one of my future travel destinations! I went to Longwood Gardens during the summertime. We came early enough to visit the various gardens and then enjoyed a summer barbecue before going to the fireworks & fountains show. If you haven’t done that event, I recommend it – it was a really fun, and the fireworks and fountains set to music is spectacular.